As has been noted( I mean really, it’s kind of the point of things around here) I have spent years observing the golfing world. I would like to say I have spent years as part of the golfing world, but Golfing Offspring #3( who is an 11 year old boy, in case you haven’t been keeping track ) beat me today, playing from the forward tees, so I can hardly claim to be part of the golfing world. Although, in my defense, he had just finished a lesson, so he was primed and ready to go, whereas I haven’t picked up a club in weeks. Anyway. Many years observing. I thought I had things pretty much pegged. I admit I do tend to nod off during some of the grass discussions, but overall I think I have picked up on the important things. But as it turns out, I missed something. But in my defense( once again ) it is not something I would have expected from golfers, so I wasn’t paying attention. Generally speaking golfers are not a superstitious lot. You don’t hear golfers saying they aren’t shaving their beards until they make the playoffs. Or not cutting their hair. Or refusing to have their lucky jersey washed. Or always eating the same meal before the big tournament. They have their little pre-stroke routines from which they never very, but that has more to do with being in the zone, than trying to appease the golf gods. Golf is definitely 80% mental ( at least ) but the mental part generally involves visualizing the stroke, or intense concentration, tuning out the crowds. You don’t hear golfers out there chanting their lucky mantra, or putting a curse on their playing partner. However, it turns out they do have one weakness in this area. Which I have gone all these years without noticing. It was first brought to my attention by an old Titleist commercial. I tried to find it out on youtube, or the Titleist web site, but even Google couldn’t locate it anywhere. 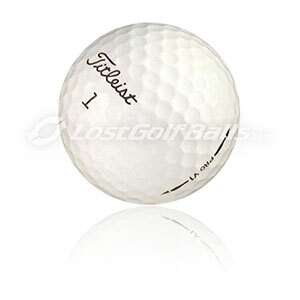 The commercial shows various tour pros, men and women, talking about the number they play, pretty much just like the Titleist commercials where various pros describe how they mark their ball ( now THERE is a topic for a future post. ). The tag line being ‘It’s not how you mark your ball, it’s how you mark your Titleist’. This was along the same lines, but instead of the ball mark, it was the ball number. And by number I mean the number that is stamped on the ball. Some of them play 2’s, some 3’s. Some play a high number during the Thursday and Friday rounds, and move to 1’s on the weekend. And apparently Adam Scott has the number 9 stamped especially for him. I have explained before about how tournaments are watched here in The Household. The TV is on, but at any given time there may or may not be any one actually watching. If it’s a major, it is Tivo’d and generally watched in it’s entirety later on, skipping the commercials of course. So, who knows how many hundreds of times this commercial has aired, but the first time I saw it was about a month ago. As luck would have it ( since we are talking superstition here ), both The Golfer and I were in the room when it aired. I didn’t get it. I asked The Golfer, ‘What’s the big deal about the number?’. I got the ‘I can’t believe I’ve been married to you for this long, and you don’t know this’ look. He patiently explained to me ( because I wouldn’t let him leave the room until he did. I mean I needed to know so I could pass it on to you, right? ) that golfers are a little superstitious about the number they play. Some of them will only play one number. Some will start with 4’s during Thursdays round, move to 3’s on Friday, 2’s on Saturday, and of course 1’s on Sunday. Some never want to play 1’s, and only play 3’s ( because that’s a birdie ). Regardless, apparently the one thing that can really discombobulate a professional golfer is to play the wrong number ball. Apparently everyone but me, since Titleist felt the commercial needed no explanation, just a lot of people saying what number they played. Balls are purchased by the dozen. They come in a box with 4 ‘sleeves’ of 3. Meaning four smaller boxes with 3 balls each. Unless you request otherwise, normally each box of a dozen will have one sleeve of 1’s, one of 2’s, one of 3’s, and one of 4’s. However, if you order them online you can request the numbers you want. For the record The Golfer orders 5’s, 6’s, and 7’s. He says it is because no one likes to play the high numbers so it helps him identify his ball. Uh huh. I’m sure there is some deeper psychological explanation for his need for the high numbers, which I will eventually wheedle out of him, now that I know there is something there to wheedle. Meanwhile, for you. Remember back at the end of this post, where I said if you really wanted to take things up a notch you could inquire of the handsome golfer as to the stiffness of his shafts? If that goes over well you could ask him about the number on his balls.